1860- In the spring of 1860, a group of fellow Christians from the First Baptist Church of Smithfield assisted in the organization of Shiloh Baptist Church. Initially, there were 14 Charter Members. Our records show the names of 3 of them: D.H. Holland, Walter R. Moore and William H. Sanders. All except one of the male members, being primarily local farmers and merchants, were slaveholders at the time. This resulted in the early membership being comprised of a number of African-American members. The land used for constructing our first Church, a one room frame building, was donated by Gaston Johnson. The original building was later sold to the Primitive Baptists and was relocated to another site about ¼ mile from this original site. The original site, upon which the first church was located is where our second church was built. It is also important to note our Church has had an active Sunday School Program in place since originally founded in 1860. 1906- The first Baptist Women’s Missionary group was formed and remains active today. Mr. Sanders was the last African-American member on record at Shiloh until the year 2003. 1918-1919- The Sanctuary for Shiloh’s second Church was built and continues to be used by our youth today. 1957- The annex for the Educational Building was added to the Sanctuary. 1964-1967- The Lancaster family donated land for a parsonage and construction began. It was completed in 1967 and Reverend L.E. Godwin, Jr. and his family were the first occupants. 1969- Stained glass windows were given to the Church by several loving families. Each window depicts a favorite scene of our Savior, Jesus Christ. 1974-1979- Extensive renovations were made to the Church during this time, including replacing the tin roof with asphalt shingles. The Sunday School rooms were added on the lower level and upstairs. The baptismal, with the beautiful mural, was also added during this time. 1985-1994- Additional renovations were made, vinyl siding was added, central heat & air were installed and an outside storage building was constructed. 1998-1999- Ceilings were replaced in the Educational building and fluorescent lights were installed, a new sound system was purchased, ceiling fans were added in the Sanctuary and the outer Sanctuary doors were replaced. The Pastors’ office was completely renovated, including new furniture. Recreational facilities were added including a playground and a concrete basketball court. The parsonage was renovated with new cabinets; new carpeting and the wooden floors were refinished. The parsonage was subsequently sold and funds from the proceeds were used to acquire additional land for the Church’s expansion. 2001-2003- In 2001 growth in the Church made it necessary to hold 2 Sunday AM worship services, at 8:45 and 10:55. A mobile classroom was set up next to the Educational building to house a rapidly growing Sunday School. Our Church formed a much needed building committee to plan for Church expansion due to the tremendous growth God has inspired in our Church and community. He made it possible for us to acquire additional land during this time of planning, including one particular parcel which we had attempted to acquire on numerous previous occasions. In 2003, praise God, our building project began for a new family life/fellowship center, estimated cost at 3.1 million dollars. 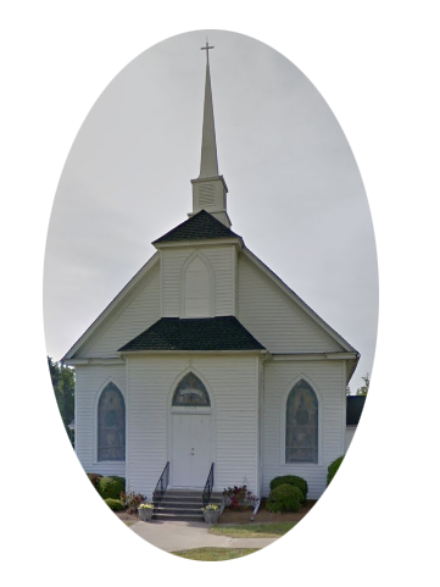 2006 - Shiloh Baptist has had 43 different Pastors since it was formed in 1860. Our current Pastor, Mitch Lockamy, has been with us since July 12, 1999. Membership in 2006 consisted of 360 individuals, 2 Sunday AM worship services with an average attendance of 300 in both. Sunday School averaged 201 in attendance. 2007 – In October we moved into the new Family Life Fellowship Center building. Total cost for this project including furnishings was 3.3 million dollars. This move placed us in a position to resume with one primary Sunday morning service at 10:30 am. Sunday School begins at 9:15 am. The move allowed us to comfortably accommodate our members and visitors and also to host year round special events. 2009-2010 – Shiloh continues to grow and the Lord has continued to bless His church. Our current membership is 467 and we average 247 in attendance for Sunday School. We have increased our staff to include Brian Self who is our Youth/Outreach Pastor, and Lee Smith who is our Education/Children’s Pastor. Jesus tells us in Mark 10:14 “Suffer the little children to come unto me, and forbid them not: for of such is the kingdom of God”. We feel blessed to have honored God’s word in making every effort to instruct our children and youth in a manner that is pleasing to Him. 2011-2012 – Shiloh constantly seeks to be mission minded. We participate in local missions regularly. At the regional level we have a team trained for work through the N.C. Disaster Relief Team. Our mission work has also reached the national level by partnering with Graffiti 2 Church in New York. We had a total of 399 people participate in mission projects in 2012. Shiloh has extended options to grow & deepen our faith with studies & programs in addition to our regular Wednesday Evening Bible Study. A few include Jesus on Leadership, Share Jesus without Fear, Marriage Enrichment, GriefShare, and DivorceCare. These are only a few of the many additional studies offered throughout the year. We continue to grow in attendance. As of September 2012 our average weekly worship attendance was 520 and 282 in Sunday School. Our worship service now offers a musical blend of traditional and contemporary to better serve our people. God continues to bless Shiloh and we give Him the glory! This year we were also blessed with the funds to do some renovations to our old church. New carpet, new doors, and a fresh coat of paint made it a more inviting place for our youth to meet and study God’s word. As of September 2013 the average weekly attendance at Shiloh’s worship services was 524. We are also in the process of adding additional Sunday School classes.” We daily thank the Lord for His blessings on Shiloh! We are thankful for the many dedicated individuals who have served faithfully and given much of their time and resources in service to our Lord, within our Church, in fellowship with our Christian family, for others in the community and in support of missions, both at home and abroad. 2014-2015 - Our Sermon Series “Bible Heroes” continued throughout the church year challenging us to take a firm stand for Christ. A Wednesday night study on the book of Revelation was recently completed. We were encouraged to stay focused on the reward ahead. As we read and seek to do God’s will, He continues to bless Shiloh. Our weekly worship attendance averaged 524, and our Sunday School averaged 286. We welcomed 67 new members and had 22 baptisms! Our Mission offering greatly surpassed 2014 with a totalgiving of $145,010! We praise God that we were able to give wholeheartedly to help spread His word and reach the lost. A new SNL (Sunday Night Live) Bible Study has been started for our youth. The kitchenette in the Heritage Building was updated to make it a more welcoming place for them to gather & grow in Christ. In an ever-changing world, we praise the Lord for sending Shiloh three godly pastors that constantly preach the whole Bible, not adding or taking away from God’s Word! 2015-2016- Shiloh answered the call "Go ye into the entire world and preach the gospel" Mark 16:15. Financial support was expanded to two new church plants in Baltimore, Maryland. The Support for Graffiti 2 Church continued not only financially, but with mission teams traveling to New York to offer support. Fifteen of Shiloh's youth completed a mission trip to the poverty stricken area of Asheville, NC. Also, sixteen of Shiloh's men traveled to South Carolina where they worked in a flood-ravished area. The annual "Trunk or Treat" reached a record high of 900 children and adults. During the church year Shiloh welcomed 31 new members and baptized 25. The sermon series, "When the World Turns Upside Down", taught Christians that more than ever, the church body must stand firmer, pray harder, and be more diligent in spreading God's word. An appropriate quote to end 2015/2016 was...."When this life gets too hard to stand, God's children must kneel!" 2016-2017-Shiloh enjoyed a "National Back to Church Sunday," with emphasis placed on reaching out to our local community. Gary Bates from Creation Ministries International spoke on the "Evolution Connection" and "Creation not Confusion", The day ended with the "Case for Christ" movie. This was met with great success as the Sunday school hour had over 300 in attendance. Our "Trunk or Treat" continues to be a huge community outreach with over 900 attending, as well as Vacation Bible School which averaged 100 nightly. We continue to offer an open invitation to GriefShare and Divorce Care classes for our neighboring communities. Shiloh's adults and youth took part in state and national mission trips. Several mission trips were taken to church plants in New York and Maryland. A group of 20 youth attended Fuge Mission Camp in Asheville, NC. During this trip two of Shiloh's youth were called into the ministry. God continues to bless Shiloh financially, and in return we have been able to give a much larger offering for mission endeavors. Upkeep of the church included a new Audio Visual system being installed in the sanctuary. Part of the existing system will be moved to the Heritage building for our youth program. A new air condition unit was installed at the Heritage building. We give God the Glory for His continued blessings on Shiloh. God has glorified Himself through the special unity He has given His people here at Shiloh, in their service, their giving, their prayers and their praise. This is a testimony of God’s love and the hope He gives to all, in His Son, our Savior, Jesus Christ. May our footprints continue to keep us heaven bound and may we continue to give glory, honor, and praise to His name!